For applicants 18 years of age or older, you can download, print, and complete the application at the link below. For applicants 16 and 17 years of age, stop by the station to learn more about membership, and pick up an application. Whether you're interested in fire, rescue, or emergency medical services, PVFC will sponsor your training at no cost to you. The Maryland Fire & Rescue Institute and the Maryland Institute for Emergency Medical Services Systems offer numerous high-quality courses throughout the year, including Firefighter I & II, Rescue Technician, Emergency Medical Technician, and many others. Few volunteer opportunities have such a direct impact on the community as the volunteer fire and EMS service. Providing life-saving and necessary emergency services to citizens in need is a fulfilling, purposeful, and substantive way to support safe local communities. A number of private and public scholarships are available to qualifying members of our company who are pursuing undergraduate and graduate degrees. Company members receive regular updates about scholarship opportunities. Qualifying company members receive a variety of state tax incentives, including a Maryland state income tax deduction. Company members participate in a length-of-service awards program. Members are eligible to receive a monthly, pension-like stipend after twenty five years of qualifying service. 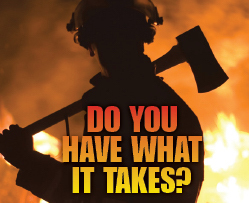 All firefighters, whether career or volunteer, receive the same training through the Maryland Fire & Rescue Institute (MFRI) and the Maryland Institute for Emergency Medical Services Systems (MIEMSS). Stop by the station to find out more about the free training you will receive as a member of our company. For applicants who are only interested in providing emergency medical services on PVFC's ambulance, we offer EMS-only membership. PVFC's ambulance is extremely busy, running about 2000 calls annually. EMS-only members are full company members, and can choose to become fire and rescue trained at any time. Engine, squad, and truck. Take your pick. PVFC runs over 1800 fire and rescue calls every year, making us one of the busiest stations in Baltimore County. Whether you're new to the fire service, or have an interest in a particular discipline, PVFC is the station for you. The administration of a busy fire company is a tremendous job. PVFC is always looking for members who can assist with administrative tasks. No EMS, fire, or rescue training is required of our associate members.